We highly recommend Provence Cycling Holidays, a unique way to see Provence by bicycle while staying in Neil and Nat Cowell's small, warm Bed and Breakfast just outside of Coustellet in France's Luberon region. 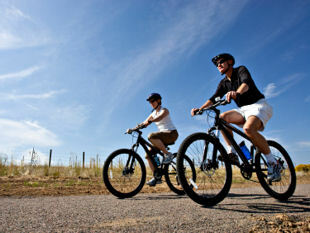 Guests select their own gps-guided cycling trips from an extensive menu of trips provided. This is perfect for cyclists of varying skills and desires. One can choose a challenging day-long hill climb or a leisurely hour ride to lunch. The Cowells are wonderful hosts, offering delicious dinners every other night. Highly recommended!!! Outstanding B&B and cycling vacation concept! My wife and I recently stayed at Provence Cycling Holidays for 8 days on a self-guided bicycle adventure. We were extremely happy with the accommodations, cycling, and the excellent breakfasts and dinners every other night. The stay was an outstanding experience. Neil is a cyclist himself and knows the area in detail. 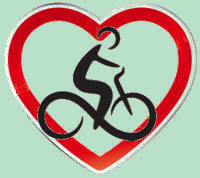 He works hard to fit you with bikes and GPS routes appropriate for your abilities; whether beginner or seasoned cyclist. He provides pocket guides on recommended sights and restaurants along the route. Neil created a couple of special routes for us, and we never once felt lost or uncomfortable with the surroundings. It's also very comforting to know that a friend with a car is just a phone call away should you need help. It's an ideal way of bicycle touring because you can ride at your own pace and schedule, or just take a day off to be a regular tourist. Staying with Neil and Natalene was everything we hoped our Provence bicycle trip would be, and we would give them six stars if that were an option! 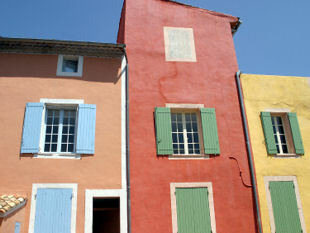 If you like bicycling in Provence, you won't be disappointed with Provence Cycling Holidays! Courtney - US - Sept 12. An excellent holiday exceeding our expectations. It was wonderful to stay with Neil, Nat and family in the French countryside. The hospitality in a friendly environment, great food and spotless accommodation made it a pleasure to stay here. Compared to other biking options, the GPS, combined with Neil's knowledge of the area made it stress free and allowed us to really enjoy our daily biking adventures. A trip we will always remember and recommend to others. Maryann - NZ - Aug 12. This is a perfect get-away with terrific hosts. The cycling is easy to moderate, though can be made a bit challenging by increasing the distance to as much as you would like. The GPS guidance is truly splendid and the scenery is first-class. Don't think twice; just go for this one whole heartedly. A perfect combination of great weather, great food, great company and a comprehensive selection of scenic cycle routes to suit every ability. The bikes were very good quality and the GPS made route finding so easy and enjoyable that you won't want to cycle without one again. Neil's advice and local knowledge was absolutely invaluable and helped us to make the most of everyday. T &E - UK - July 12. We spent 5 days with Provence Cycling Holidays and had a really terrific time. I cannot recommend strongly enough if you are looking for an easy going and flexible touring arrangement for the Provence area. You can ride as little or as much as you like, all in the convenience of a lovely rural base. This will not be a 5-star accommodation (though it is lovely), but rather the best value you can find for a premiere holiday cycling in a most beautiful area. Two thumbs up! David - US - June 12. I recently spent 5 weeks cycling around France. The major highlight of the holiday was the time I spent with Neil from Provence Cycling Holidays. You get to stay in a 17th Century Farmhouse in a relatively small French town. Neil and his family are wonderful hosts, not to mention Neil's cooking which is excellent. Each morning, after a scrumptious breakfast, you have the choice of up to 60 rides already programmed into the GPS system. Alternatively, Neil will create a new map for you tailored to meet what you would like to cover that day. Itӳ such an easy way to get around and cover all the major villages in the area. The bikes are excellent and well maintained. Itӳ wonderful to come home in the afternoon and jump into the pool then relax over a glass or wine or two. I highly recommend this experience. You won't be disappointed. Gill - Australia - May 12. We just spent 5 glorious days touring the Luberon using Neil's self guided GPS units ֠definitely the way to go! You get to tailor the ride to your own specific needs and travel at your own pace and stop whenever you choose. Neil's recommendations for restaurants to try were excellent. His hospitality is second to none. We had so much fun and got to see some amazing villages. G. Zimmerman - Canada - May 12. Your host, Neil, has taken his Bed and Breakfast, a fully renovated 17th century farmhouse, and value added cycling and gourmet dining to the package. His GPS guided tours are a dream. Choose from 60+ routes that accommodate a spectrum of skill and fitness levels, all programmed into a bar-mount Garmin instrument that guides you along the back roads of Provence. Then settle in for a great meal, a la Provencal, and a good night's rest. P. - US - May 12.